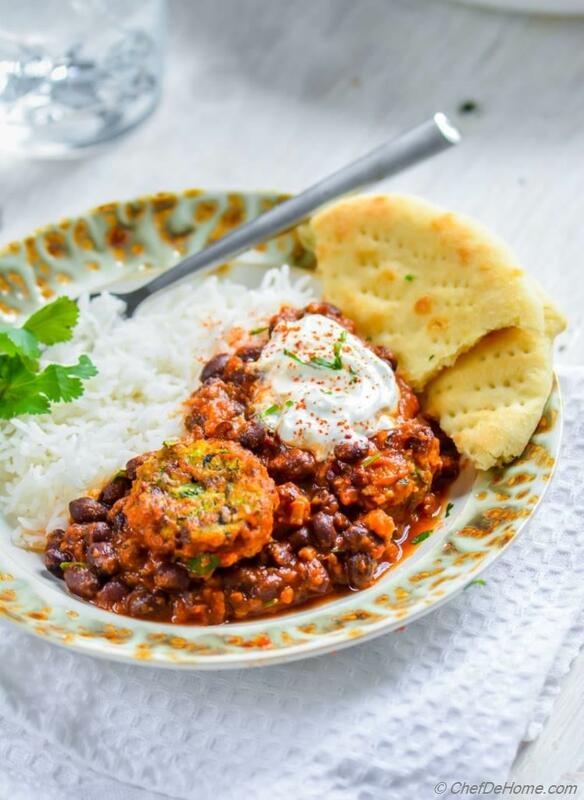 A vegan and gluten free veggie-full dinner with flavorful meatless zucchini meatball style koftas simmered in creamy garlicky bean and tomato sauce. 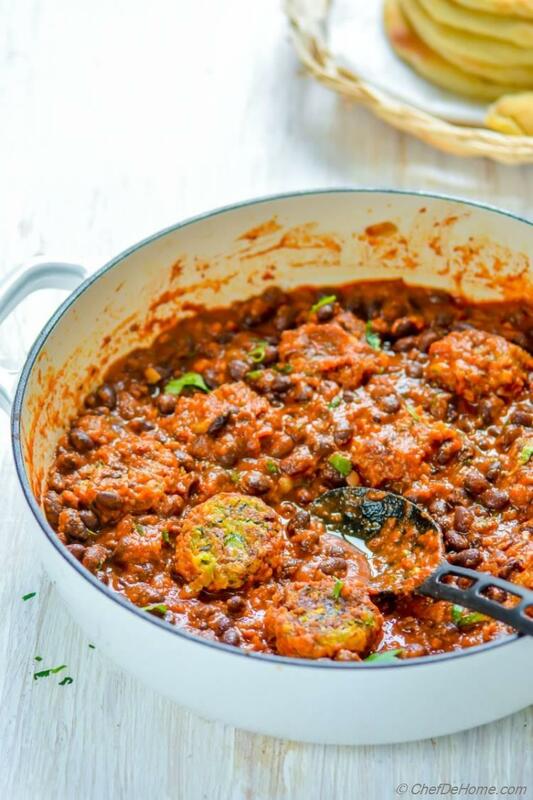 Vegetarian zucchini meatballs or koftas simmered in homemade black beans and tomato sauce. 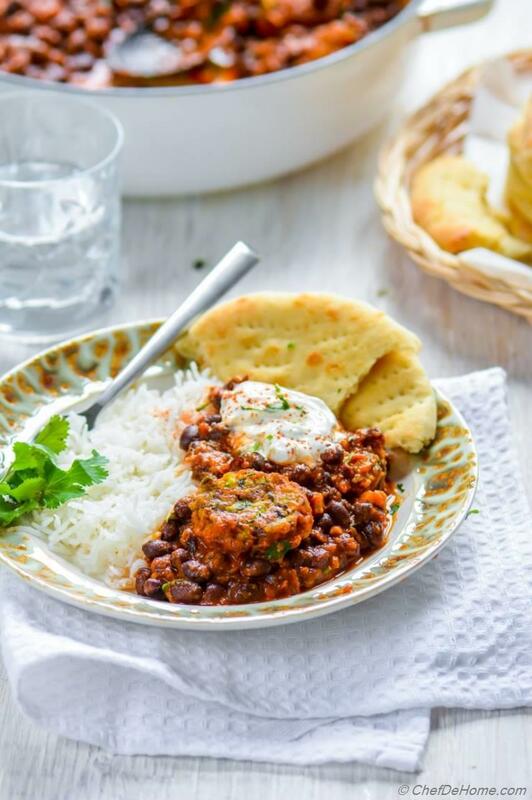 A hearty and veggie-full dinner which is vegan as well as gluten free! How good is that? This is one of the most favorite meatless dinner on my weekday menu! 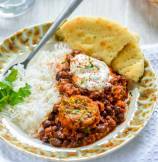 Often I serve kofta and bean dinner with rice and side of yogurt. But guess what? This yogurt is vegan! *Vegan Almond Yogurt! Oh, and also sharing a super simple cheat to make any bean sauce rich and creamy without any creamer or thickener!! As much as weekday dinner needs to be quick and delicious, I make sure to also keep'em healthier with good dose of veggies and hearty flavors. 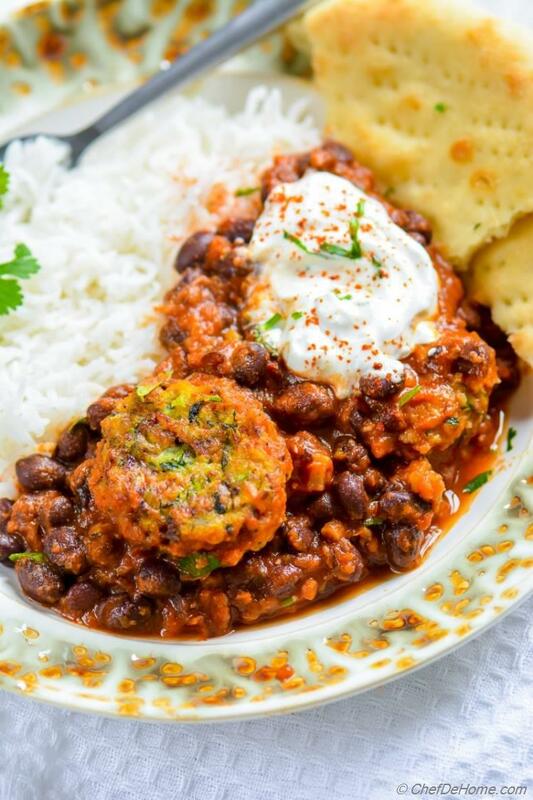 Like these vegetarian zucchini meatballs with bean sauce make a super hearty yet vegetarian dinner! Plus for me? I cook and freeze few zucchini meatballs at weekend and then just make the sauce before serving dinner over weekdays. Oh, now you know, why am I sharing a meatless dinner on Friday! Just so to give you a mini project! Make some vegetarian meatballs this weekend and then enjoy delicious dinner any day of the week... under 20 minutes! Now, I wanted to make zucchini meatball gluten free, so I have used corn flour for binding. If you don't care for gluten, or just because you want to.... feel free to use regular flour or chickpea flour or even rice flour. These meatballs are so forgiving... any of these will work. All you need to take care is: Only add that much flour which is good for binding the balls. Not too much. Just add a little at a time util you can hold zucchini mixture in hand and press to make a meatballs which does not break or crumble! Are you Beans Fan? 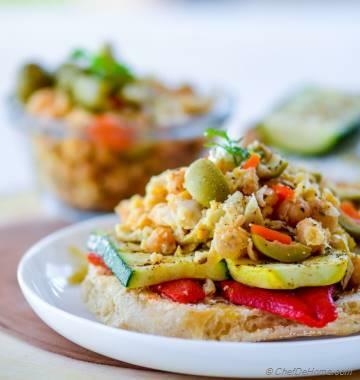 I have some delicious recipes for you!! Total Time 35 minutes Prep Time 10 minutes Cook Time 25 minutes Difficulty Easy Yields 4 Servings Serves 4 Notes No. of servings depends on serving size. 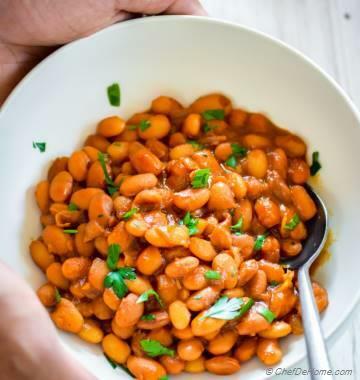 Smart Swap Replace beans with chickpeas for delicious variation! 1. Heat oil in a skillet. 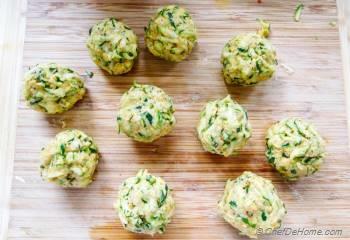 In bowl combine all of the Zucchini Meatballs ingredients and mix well. Puree 1/2 cup of beans in food processor with few table spoons of water until creamy and fine pureed. 2. 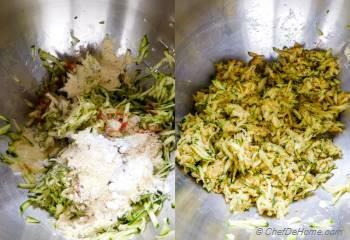 Divide mixture into 10 equal portions and roll to make small Zucchini meatballs. Set aside. 3. 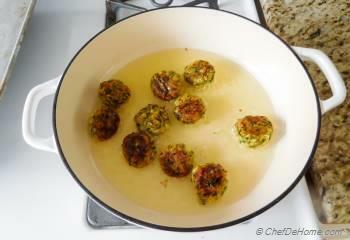 When oil is medium hot (375 degrees Fahrenheit), fry the Zucchini Meatballs until crispy from all sides. 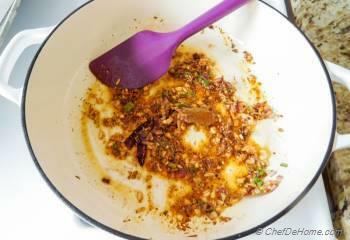 Remove meatballs in a paper lined plate to drain excess oil and set aside. You can also bake Zucchini Meatballs at 350 degrees F preheated oven for 20-25 minutes or until golden. 4. Discard all oil from skillet leaving behind 2 tbsp. Add chopped onion and garlic until onion are slight brown at edges. 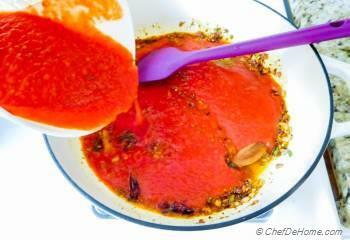 Add oregano, bay leaf, dry red chili, coriander powder, and tomato paste. Cook for 1 more minute. 6. 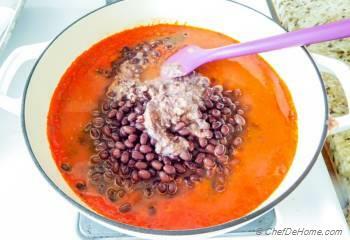 Add rinsed black beans, pureed black beans, and 1 cup of vegetable stock. Mix well, bring to boil, then simmer for 10 minutes covered. 7. Uncover, add Zucchini Meatballs and cook until everything heated through. Serve over rice and enjoy! Creamy Bean Sauce: Puree 1/2 cup of beans in food processor with few table spoons of water until creamy and fine pureed. 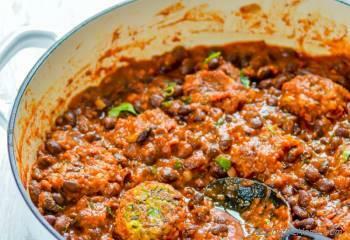 Add it to simmering beans for extra flavor, thick creamy texture and wonderful taste. 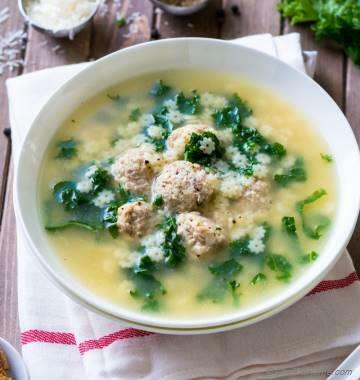 It's great, did not fry the meatballs but cooked them in salt free broth, love your recipes.I also like to mix different flavors, I don't care where they are from. Hi Marcy, thanks. I never tried boiling these veggie meatballs in water but I'm sure going to try. I'm glad you like my cooking style. Thanks for sharing your feedback. I'm always in for meatless meatballs, I make them quite often with different kinds of veggies and grains. I love this version, it looks great! Thanks Adina! These veggie version of meatballs is often on our weekday menu. I'm glad you like it.